Here we list schools running LiD programs that are happy to be in touch with others. We will ask each to give us some information about how long they have been implementing LiD, how many classes/students are involved, something about problems or successes they have achieved, and perhaps some suggestions and advice they have for others based on their experience. So, please let us know about your school and LiD practice. We’d really like to hear when you began the program? With how many students? What was your beginning ceremony like? In fact, anything you would like to tell us would be of interest. We will then add the information to that on our list of participating schools. And please include any photographs you might have that we will be allowed to put on this website. Don’t be shy! There are now scores, possibly hundreds, of schools using LiD. We are finding it very hard to persuade teachers or principals to send us information about their use of the program—you’d think these people had other things to do! Below are descriptions of some of the schools that are implementing the program. Please join them and send us some information about your school. Jean Warburton, a member of the LiD Team, has been in Chile during the spring of 2013 introducing LiD to the two schools of the Lincoln International Academy in Santigo. Other schools in Chile are also interested in taking up the program. Jean is helping the schools introduce the program to more than 600 students, all starting at the same time in March/April 2013. For an update (May 2013) read yet more . . . The Learning in depth project continues to spread around the galaxy. Most recently, four classes in Tehran have begun building portfolios on topics selected from the revised LiD topic lists. Mahboubeh Asgari can be seen here introducing the program to one of the classes. Here is a teacher planning session, as they discuss what kind of portfolio containers will work best, what topics they should select, and how they should organize the “reveal” ceremony. The students were given two folders; lighter ones in the top photo below which they could take home and carry to and fro with them, and the more substantial portfolio folder, below, which will stay in the school. There is a conundrum at the heart of schooling, to do with conformity and independence. Learning is ultimately an individual process, but schools have conformity built into them. From the organisation of lessons and the school day, through to eating and toilet breaks, schools enforce and encourage conformity in all sorts of ways. This isn’t, of itself, something negative: most of us probably accept that society requires a degree of conformity, however an excessive amount of conformity can be harmful to children, especially if we are interested, as I am, in nurturing imagination, independence and reflection. LiD was implemented at Corbett Charter School (CCS) in the 2009-2010 school year. The Topics Awards ceremony was postponed until after the winter holiday to accommodate initial start-up work. 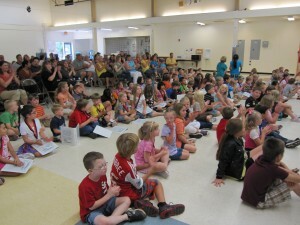 Thereafter, new students were initiated at the beginning of the school year. Corbett Charter School (CCS) uses a multiage classroom configuration. The school includes 4 primary and 4 intermediate classrooms. Primary classrooms include grades K-3. Intermediate classrooms include grades 4-6. All primary students are initiated into LiD regardless of when they enter. Those students carry LiD into the intermediate classes, rolling up the program. Intermediate classrooms have developed a supplementary topical study program for those students in grades 4-6 who did not attend in primary grades and receive a LiD topic. During the 2010-2011 school year, 8 CCS classrooms are practicing LiD. Teachers and students at CCS are committed to LiD. We are in our third year of implementation and the program is stable and well received. Teachers confer regularly about ideas for classroom level implementation and projects to recommend and model for students. Students love LiD time and request it in the schedule regularly. 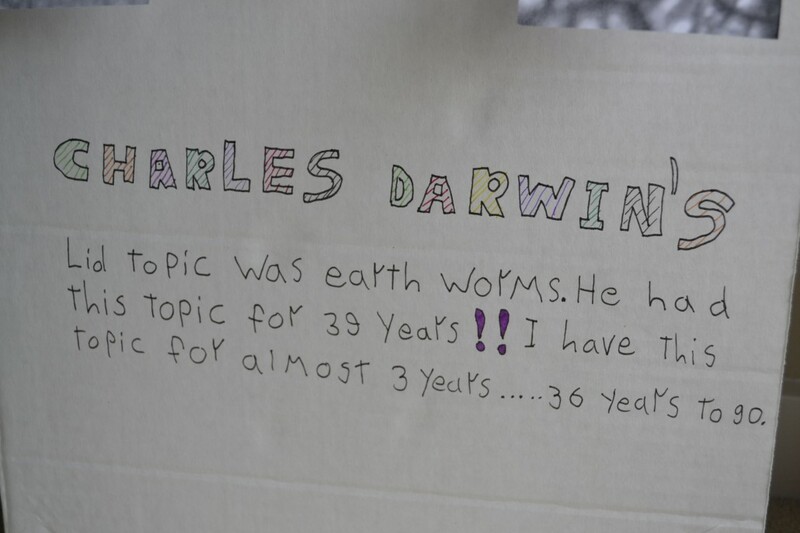 Students are proud of their topics and all our students have received their topics well and stuck with them. While all our students are enthusiastic about engaging and sharing their topics during LiD time, several students have excelled in their LiD studies. Interestingly, students who make an extra strong commitment to LiD and achieve most in LiD are not necessarily those highest performing students within their cohort. Family involvement in LiD is varied, as expected. Teachers have described LiD to families, included families in the LiD Topics Award ceremony and provided handouts which include explanations and ideas for sharing LiD with students at home. All our families have accepted LiD and many have provided their students with resources for LiD at home, joined their students in conversation, connected with family and friends who have special knowledge, included LiD in family outings and are alert to opportunities to learn during their regular activities. Through these years, teachers have continued to develop their understanding of LiD in light of our also-developing understanding of Imaginative Education. Teachers in the primary grades have had many conversations about how students operating principally by “Mythic Understanding” will begin Learning in Depth. Teachers have asked what should be expected of students during LiD time as voluntary participants. What sort of activities are acceptable and productive for these students? Teachers have agreed both to allow young students to choose their method addressing their topics and have appropriate expectations for the productive use of class time for students operating within the “Mythic Framework”. Goldington Green Lower School, Bedford, England. Please keep on sending us information about your school and implementation for what we hope will become a useful network for everyone exploring uses of LiD. K.B. 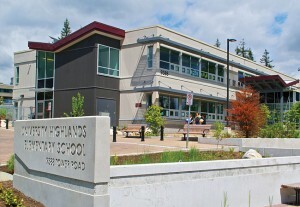 Woodward Elementary School, Surrey, B.C. Canada. At KB Woodward Elementary we began LiD in 2011/2012 with 1 class taking the challenge. During the 2012/2013 School Year we had 3 classes working on LiD. During the 2013/14 school year we had 7 classes participating in LiD. Each class had weekly research time with their teacher. We also met twice a month in the gym as a whole group to show off and share our discoveries. It was an amazing experience for everyone involved. This year more teachers are on board and KB Woodward now has 11 classes, grades 1-7 participating in LiD. We are all so excited. English Bluff Elementary School, Delta, B.C. Canada. English Bluff has launched a new adventure in learning for our students. This internationally recognized project involves an in-depth study of a single topic. Each student has received a topic to explore during school this week. “LiD is based on the belief that learning something in depth adds an important dimension to each person’s education. It is further based on the principle that the more one knows about anything, the more interesting it becomes.” Dr. Kieran Egan, Simon Fraser University. During our weekly “Learning in Depth time”, students will each seek, pursue, hunt, search and strive to learn as much as possible about one broad topic. One of our school’s 3 themes is inquiry-based learning. While exploring various pedagogical paths, I came upon Learning in Depth and my curiosity was piqued. I wondered how students would feel about a randomly assigned topic as we so often hear about choice as a motivator. I wondered how they would go about pursuing it with teacher facilitation rather than teacher direction. Will they have the habits of mind to take on an independent inquiry? I have the privilege of being the official leader at Heath Traditional Elementary, a school in which all the adults are leaders who continue to seek innovative ways of practicing that have as their central purpose, learner success. This fall we welcomed a new initiative for our intermediate students. 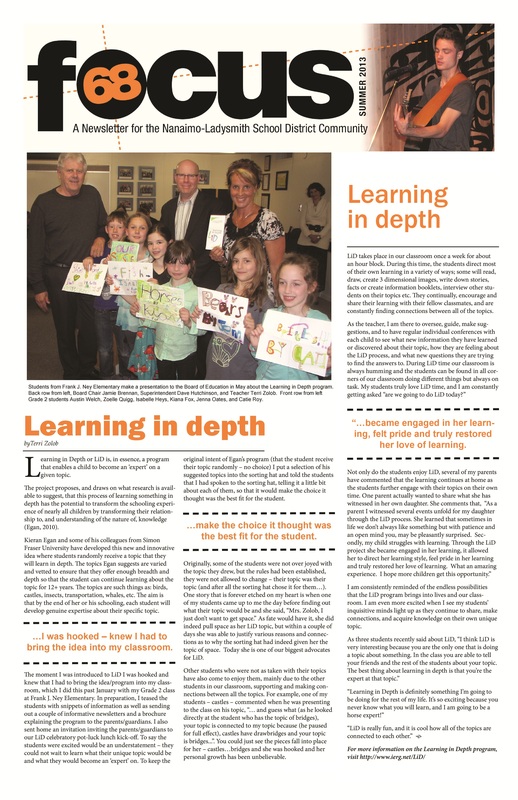 Last Spring I read about Learning in Depth in the Canadian Association of Principal’s Journal. It resonated with me and I decided to “give it a go!”. So this year our school has embarked on a learning journey. In our opening assembly students constructed a large star out of cardboard boxes as they were going to become learning stars this year! Students picked topics over the first few weeks, we showed each class the long version of the video and did question and answer sessions. Students were given a portfolio to begin gathering their information and we posted their individual stars with their topics listed in a central location Thanks for inspiring a community of learners! I started the LiD program last September with my one block of social studies 8. I tweaked your idea and pre-selected the topics to fit more with my socials 8 curriculum. Topics included things like (Tools, Weapons, Exploration, Sacred Buildings, Maps, Water Transport, Pirates, Flags and Heraldry, etc) I then asked the students to choose a partner to work with for the year and then they randomly chose a topic at our ceremony in class later in September. We worked on this all year and I did my action research on LiD too. Anyways, it was a great success and now I am getting prep time for next year to help implement LiD for the Honours socials blocks from grade 8-11 on top of my own socials 9 classes. The year end LID showcase was awesome and the kids presented without looking at any notes. They all knew so much! 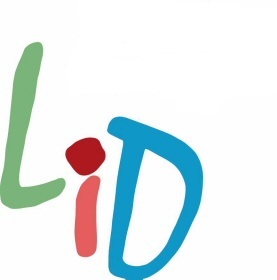 “Yes, it’s LiD day!” is the most common thing I hear when greeting my students on Friday mornings. This fall I implemented the Learning in Depth program with my classroom of high ability learners (part of Burnaby’s Multi-age Cluster Classroom pilot program for gifted/high ability children in grades 4 and 5). My intention was to maintain and sustain the love of learning the majority of my students have. But, of course, some questions lingered. Would the students feel engaged with the topics? Would they see the interconnections that LiD provides? Could LiD help in building community with students who travel from all across the school district for this specialized program? The answer to the above questions is a resounding, deafening “YES”.